Alan November began his education career as a science and math teacher and a residential dorm counselor on an island reform school in Boston Harbor. November went on as a teacher and administrator in the Boston Public Schools, Lexington and Wellesley (Massachusetts) Public Schools, and the Glenbrook High Schools in Illinois. He has also taught in the graduate schools of education at the University of Massachusetts-Amherst, and Seton Hall in New Jersey. He was the cofounder of the Institute for Education Leadership and Technology at Stanford University. He has presented in all 50 states, every province of Canada, across Europe, Asia, Central America, and South Africa. He is most proud of being named one of the first Christa McAuliffe Educators in the United States. November is the author of the best-selling book Empowering Students With Technology . 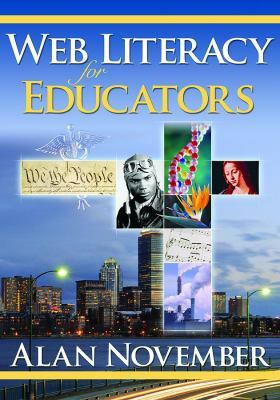 Each July, November leads the international Building Learning Communities summer conference near Boston.November, Alan is the author of 'Web Literacy for Educators', published 2008 under ISBN 9781412958431 and ISBN 1412958431. Loading marketplace prices 47 copies from $1.98 How does the rental process work?